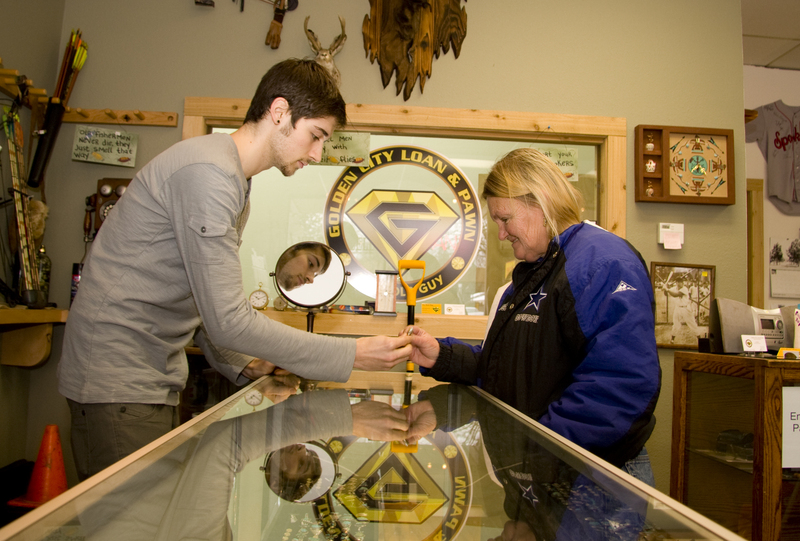 Christopher Paul shows Sue Williams of Coeur d’Alene an opal ring for sale at the Golden City Loan and Pawn shop. As millions of Americans watched the ball drop in Times Square, 10 states and two cities officially raised their minimum wages on January 1. Idaho was not one of those states. In fact, Idaho’s state minimum wage matches that of the federal minimum wage at $7.25 an hour. A tipped employee in Idaho makes $3.35 per hour. Washington and Montana, Idaho’s neighbors, pay their tipped workers more than twice as much per hour than Idaho. In Montana, for a tipped employee, the minimum wage is $7.80. In Washington, a tipped employee earns $9.04 per hour, and a non-tipped employee, $9.19 per hour– the highest minimum wage in the nation. “I would not be in favor of an increased minimum wage, but I would be willing to have discussions about increasing the minimum wage,” said Rep. Luke Malek, R-Coeur d’Alene. Malek acknowledges North Idaho’s economic troubles, unemployment, underemployment, and the obstacles small and big businesses face. “Some people are stuck in minimum wage jobs that have more potential than what the market is currently offering them, but I don’t think putting a stranglehold on businesses is what’s going to solve the problem,” said Malek. Steve Wilson, President and CEO of the Coeur d’Alene Chamber of Commerce, follows a similar school of thought as Malek and does not follow the logic of lawmakers in Washington state who voted to raise their minimum wage. “They somehow artificially decided that nine dollars an hour [$9.04] is the minimum wage for a restaurant employee in Liberty Lake. I would rather have the government stay out of that and have the marketplace set it’s own wage at the prevailing rate,” Wilson said. Idaho has maintained federal minimum wages since 1991. “Since then, the minimum wage increased in three 70-cent increments — to $5.85 in July 2007, $6.55 in July 2008 and $7.25 in July 2009,” wrote Alivia Metts, a regional economist for the Idaho Department of Labor, in her January 2011 Idaho Employment Report. The question remains: Is the Idaho legislature’s reluctance to enact a higher minimum wage preventing a more prosperous future for Idahoans or curtailing a strain on an already trembling sector of business owners? Christopher Paul of Coeur d’Alene knew exactly how he felt in response to this question. Paul got his first job in Coeur d’Alene when he was 18. He’s worked his way up every rung of the North Idaho service industry––– bagging groceries, collecting carts, bussing tables, and serving meals. Now Paul is managing Golden City Loan and Pawn of Coeur d’Alene and devising a plan to open up his own business. Darius Ross, contributor to the American Forum and managing partner of D Alexander Ross Real Estate Capital Partners, cites an intriguing fact on the history of minimum wages in the U.S.
Raising Idaho’s minimum wage has yet to become a legislative conversation or priority. “Of course, we have yet to do that,” said Jimmy Farris, a Democrat who lost to incumbent Raúl Labrador for the U.S. Representative for Idaho’s 1st Congressional District seat last November. 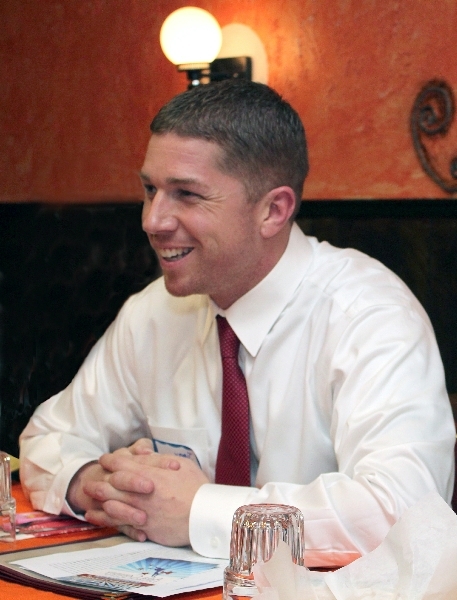 Farris, who “definitely plans to run again in 2014” for political office, considers opposition to an increased minimum wage moot, when Idaho’s per capita income in 2011 ranked 49th in the nation at $32,881, according to the Bureau of Business & Economic Research. “I really encourage us to think about why Idaho lawmakers are satisfied with the bare minimum, across the board,” said Farris. Farris rejects any notion of increased wages damaging businesses and the economy. “What Idaho lawmakers are telling you is that they are willing to protect the business owner but they are not willing to protect the average Idaho citizen who spends money in those small businesses, which keeps the doors open and in return, helps the overall economy,” said Farris. Farris argues wages determine our economic competitiveness. “Could we at least get competitive? As all of these states around us progress, we are falling behind,” he said. Farris is dismayed by Idaho’s poor rankings in the most pertinent categories. Metts, the regional economist for the Idaho Department of Labor, said higher wages provide benefits across the board. “If Idaho could become more competitive with its wages overall, not necessarily just minimum wages, it would help attract an even more skilled work force, gain competition with neighboring states, reduce labor turnover, and increase productivity, which will overall increase economic activity,” said Metts.